Manufacturers and industrial operators can now access more detailed sensor diagnostics in harsh operating environments using the IP67-rated, Allen-Bradley ArmorBlock IO-Link master from Rockwell Automation. The device builds on the company’s IO-Link portfolio with event and process timestamping capabilities for on-machine applications. The new IO-Link master stores up to 40 timestamps of sensor events on each channel. This event history can help users track changes and more easily diagnose issues. Input timestamps of all sensor data also can be sent to the controller upon a change of state. These and other diagnostics available through the device can reduce issue-resolution time by as much as 90 percent, improve preventive maintenance and optimize overall system performance. While the new ArmorBlock IO-Link master is ruggedized for use in harsh applications, the Rockwell Automation portfolio also includes an in-cabinet solution for light applications. The on-machine option requires only a single cable from the cabinet, reducing the number and length of cable runs and potential failure points. The ArmorBlock IO-Link master includes connectivity for up to eight IO-Link sensors. The master and sensors share an IP address, helping end users reduce the cost and time to commission equipment. Yokogawa Electric Corporation announces that its CENTUM® VP R6 integrated production control system has received the Minister of Economy, Trade and Industry Prize. The receipt of this prize was confirmed today. This is the second time a CENTUM system has received this honor, which is the highest Machine Industry Design Award; the CENTUM-XL distributed control system won the Minister of Economy, Trade and Industry Prize in 1989. The Machine Industry Design Awards were established in 1970 to commemorate the 55th anniversary of Nikkan Kogyo Shimbun, a highly influential daily newspaper that covers business and technology. Sponsored by the Ministry of Economy, Trade and Industry and supported by the Japan Chamber of Commerce and Industry and various other industrial organizations, this award program aims to advance and improve the design of mainly industrial products. The evaluation committee consists of experts from various government agencies, universities, and industrial organizations. The committee assesses products with a focus on quality and safety, as well as next-generation design that represents a step forward for industry. 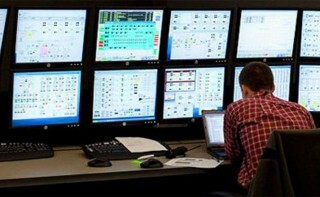 Yokogawa's highly reliable CENTUM series plant production control and monitoring systems are the core product platform for the company's control business. For our latest offering, CENTUM VP R6, we have added a N-IO (Network-I/O) device to our product lineup. I/O devices are an important element of the control system, and the N-IO device has unique I/O modules that can accommodate any signal type. All users need to do is change the software setting. This eliminates the need to change the I/O modules and do a lot of re-wiring when, for example, a decision is made during a plant construction project to change to a different sensor type, thus keeping project delays to a minimum. In terms of design, the same bright color scheme is employed for the I/O modules including the LED display area, and the modules all also have the same friendly rounded features. This unified design concept serves to communicate that these modules all work together for improved safety and reliability. In today’s processing environment, modern batch systems must account for the growing need for flexible, scalable solutions, true distribution of control, and responsive functionality. To address this, Rockwell Automation has introduced its new SequenceManager solution, which enables powerful and flexible sequencing capabilities of the batch process at the controller, offering increased functionality for skids, off-network systems and single-unit controls. Leveraging a Logix-based controller platform from Rockwell Automation, the SequenceManager solution allows operators to configure, view and obtain critical information about batch sequences stored in the controller, increasing visibility and accessibility to all stages of the production process. Intuitive operations – Modern interfaces, workflows and accessibility features empower operators to focus on production needs instead of managing system navigation and manual interventions, and view standardized batch reporting for seamless integration with other Rockwell Automation products. Highly scalable architecture – OEMs can develop, test and deliver skids as fully functioning, standalone equipment that can seamlessly integrate into a site’s existing batch strategy without the need to redeploy the code. End users will realize efficiencies in integration and reduced infrastructure costs that traditional batch solutions may normally require. Flexible, yet secure – Takes advantage of ISA-88 standard methodologies and state transitions, while getting all of the security and benefits of Rockwell Software Studio 5000 Logix Designer and FactoryTalk View SE software from Rockwell Automation. Increased responsiveness – Placing the recipe and sequencing in the controller enables the SequenceManager solution to control high-speed and time-dependent processes through rapid response and secured connectivity. National Instruments, the provider of platform-based systems that enable engineers and scientists to solve the world’s greatest engineering challenges, today announced LabVIEW 2016 system design software, empowering engineers to simplify development and effectively integrate software from the ecosystem into their systems. The latest version of LabVIEW introduces new channel wires to simplify complex communication between parallel sections of code. Available on both desktop and real-time versions of LabVIEW, the channel wire method helps improve code readability and reduces development time. Yokogawa Electric Corporation announces that it has invested in FogHorn Systems, Inc., a Silicon Valley startup that is a leading developer of fog computing technology. Through its investment in this company, Yokogawa aims to foster their development of fog computing technology. In so doing, Yokogawa hopes to expand the range of solutions that it provides. Yokogawa offers a wide range of control solutions that help its customers improve the safety and efficiency of their operations and make the most effective use of their assets. These solutions include field instruments, control systems, manufacturing execution systems (MES), and management information systems. Industrial IoT (IIoT) technology is making rapid inroads in the control field, and it is expected that fog computing's enabling of real-time and distributed processing in edge computing applications will significantly accelerate its adoption. Yokogawa has drawn up a long-term business framework and formulated a vision statement that reads, Through "Process Co-Innovation," Yokogawa creates new value with our clients for a brighter future. "Process Co-Innovation" is a concept for an automation business that will utilize all of Yokogawa's measurement, control and information technologies. According to this statement, Yokogawa will seek not only to optimize production processes but also the flow of material and information within and between companies, including their value and supply chains. This concept covers all solutions of Yokogawa, which is committed to working with customers to create value. The effective use of IIoT is key to "Process Co-Innovation." Tsuyoshi Abe, a Yokogawa vice president and head of the company's Marketing Headquarters, had the following to say about this investment: "Highly reliable and stable communications are an essential requirement in manufacturing and many other fields. Fog computing is a breakthrough that helps to enhance the use of cloud resources. It is also expected to provide Yokogawa many more opportunities to utilize IIoT in its control business. Based on its corporate brand slogan of 'Co-innovating tomorrow,' Yokogawa will utilize FogHorn's technology to develop new solutions and create new value in collaboration with its customers and partners. The ELB continuously monitors upstream and downstream pipeline pressure dynamics to provide early detection of pipeline breaks and initiate automatic valve actuator movement to an emergency position, based on user-defined parameters. Valve actuator control - selectable as fail close, fail open or stay put - is based on rate-of-drop (RoD) and rate-of-rise (RoR) as well as high and low pressure limits. A remote process shut down (PSD) input with the option to override all functions is also available to drive the valve to the fail position. The ELB is housed in a compact, environmentally sealed and explosionproof housing that can be mounted on the actuator or remotely. Setting menus displayed on the large HMI window are the focus for non-intrusive programming and commissioning using Rotork IQ intelligent electric actuation technology. In normal mode the LCD display indicates valve position. The same window also displays visual indication of status, alarms, event, trend and operation logs and diagnostic data. Padlockable pushbuttons for local actuator operation are provided on the ELB enclosure and a vandalproof cover is available for increased security.